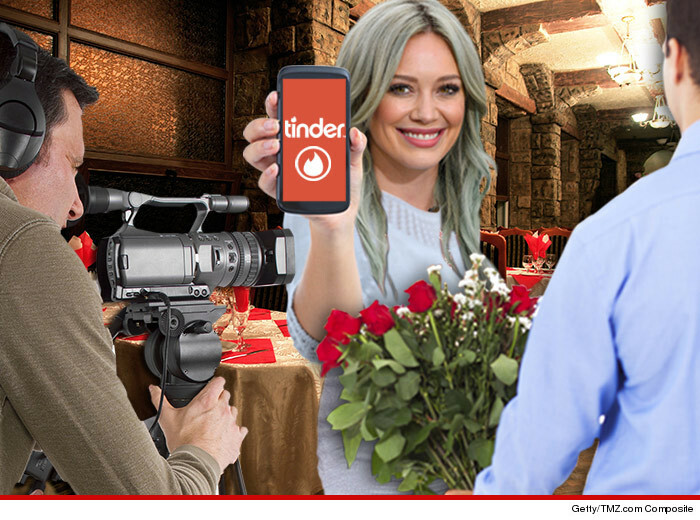 Newly Single Hilary Duff’s Got Camera’s On for All her Tinder Dates! Hilary Duff is the next ‘Bachelorette‘ … of Tinder — she’s shooting footage of all her dates setup through the app … and there’s a chance it could turn into a reality show. Hilary recently copped to right swiping a bunch of guys on Tinder — 9 at last count — and even went on a first date this week with one of them. Sources with direct knowledge tell TMZ … cameras were rolling during the date at a bowling alley. We’re told Hilary plans to shoot more footage as she dives into the dating world … and hopes to use it to develop a reality show — that would focus on her life as a new divorcée. Think ‘Stella’ getting her groove back … but whiter. Hilary’s rep had no comment about a potential reality show. Our sources say Hil had a 2nd date Wednesday night — hitting up a pizza place in the valley, and once again recording the festivities. But after dinner she and the guy grabbed a drink at a bar … sans camera. Girl needs room to work it.